At Shepherd Field Tours we are experts in providing quality assistance for independent travelers . We can offer you everything from airfare, transfers, hotel accommodation and assistance of local tour escorts. 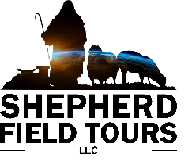 Please e-mail your requests to reservations@shepherdfieldtours.com and we will return with a quote with in 24-72 hours.